Researchers exploring the world of neuroscience are venturing deep down the rabbit hole, creating what they claim is a new brain stimulator that can instantly improve an individual’s ability to learn new skills. The startling news comes from HRL Laboratories, which compared the new device to technology depicted in the movie “The Matrix” that showed highly advanced software instantly teaching the character Neo advanced martial arts. In this case, they sought to transfer the skills of a professional airplane pilot to those who did not know how to fly a plane. Researchers led by Dr. Matthew Phillips analyzed the brain activity patterns of six commercial and military pilots. After mapping this activity out, the team used transcranial direct current stimulation (tDCS) to “[transmit] these patterns onto novice subjects as they learned to pilot an airplane in a realistic flight simulator,” Phillips said in a statement. “Subjects who received brain stimulation via electrode-embedded head caps improved their piloting abilities,” HRL said about its findings in a statement. 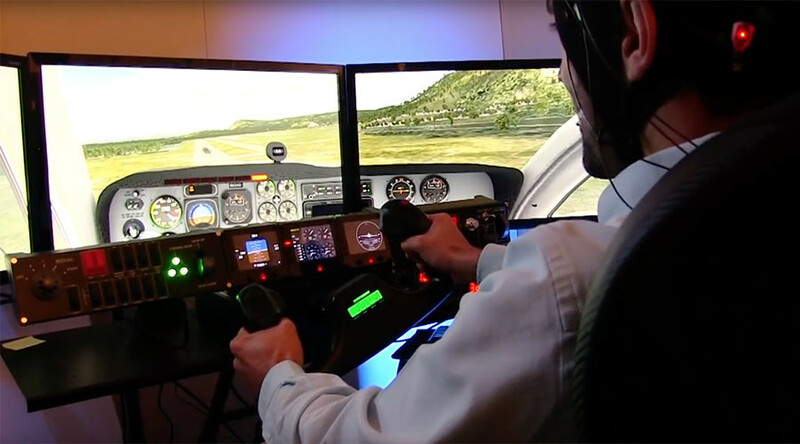 When the 32 novice pilots sat down to take their flight simulator test, researchers used the low-current stimulations to duplicate the brain activity seen in the professional pilots, even delivering placebo signals to ensure the accuracy of their results. However, don’t think that the average person will be successfully piloting fighter jets anytime soon, as there are reasons to be wary of the research at this stage. According to Popular Mechanics, the company that owns the Frontiers of Human Neuroscience journal, called Frontiers Media, has had to retract studies in the past and has had its publishing methods called into question. Nevertheless, the researchers at HRL are excited about the potential they believe they’ve uncovered. HRL noted that direct cranial stimulation can help stroke patients recover faster than typical, as well as increase creativity, and believe more is possible. "As we discover more about optimizing, personalizing, and adapting brain stimulation protocols, we'll likely see these technologies become routine in training and classroom environments," Phillips said. "It's possible that brain stimulation could be implemented for classes like drivers' training, SAT prep, and language learning." In other words, they don’t intend to leave the rabbit hole anytime soon.